They found that complications from preterm birth were the largest single cause, responsible for 965000 deaths in under-fives, with pneumonia responsible for a further 935000 deaths, and complications from childbirth (intrapartum complications) the next leading cause, responsible for 662 000 deaths. 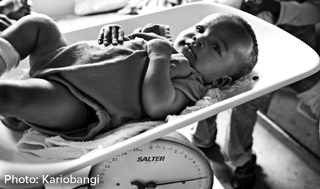 More than half (51·8%) of children died from infectious causes, including pneumonia, diarrhoea, and malaria. India, Nigeria, Pakistan, Democratic Republic of Congo, and China had the highest numbers of child deaths, together contributing to around half of all child and neonatal deaths globally in 2013. The results are published as the 2015 deadline for the Millennium Development Goals (MDGs) approaches, with MDG4 (to reduce by two thirds, between 1990 and 2015, the under-five mortality rate) unlikely to be achieved by more than a handful of countries. According to the authors, who are based at Johns Hopkins Bloomberg School of Public Health, USA, the London School of Hygiene and Tropical Medicine, UK, the World Health Organization, Switzerland, and the University of Edinburgh, UK, “Despite remarkable progress at the level of global averages, at national level, MDG 4 will not be achieved in most countries in 2015. As we enter the final 500 days of the MDG era, our analysis underlines a major transition for child survival symbolised by the fact that preterm birth complications are now the leading cause of under-5 deaths globally, not just of deaths in the neonatal period”. Although rates of child deaths reduced dramatically – from 77·4 to 45·6 per 1000 livebirths – between 2000 and 2013, the authors’ projections show that, if current trends continue, in 2030 4·4 million children under five years will still die, and 60% of these deaths will occur in sub-Saharan Africa. However, the authors point out that with increased commitment to preventing the most important causes of child deaths, this number could be nearly halved, with just 2·8 million child deaths in 2030.